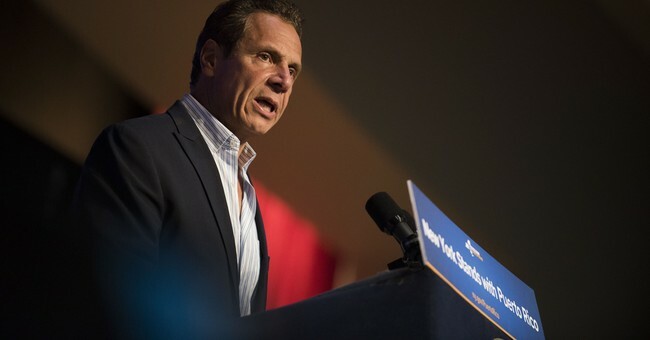 “Politicization plays right into the hands of terrorists,” New York Gov. Andrew Cuomo said Wednesday at a press briefing on the Manhattan terror attack. His remarks were directed right at President Trump. After Tuesday's attack near the World Trade Center, which left eight people dead and 13 others injured, Trump has been busy rebuking Democratic leader Chuck Schumer for voting through a visa program he believes is partly to blame for the carnage. The suspect, Sayfullo Habibullaevic Saipov, is from Uzbekistan and entered the U.S. in 2010 through the State Department's Diversity Visa Program. “His tweet wasn’t even accurate," Cuomo told reporters. Furthermore, it had "no relevance" to the situation. That kind of rhetoric is "playing into hands of the terrorists,” he reiterated. Sen. Jeff Flake (R-AZ) agrees. He defended Schumer on Twitter, informing the president that the Democrat's effort resulted in an end to that particular visa program. At Wednesday's briefing, the NYPD noted that the terrorist, who is in custody and apparently bragging about murdering Americans, had planned his attack "for weeks" and appeared to be following ISIS's instructions "to a T."
The governor has ordered increased security throughout the city.